Here is your chance to win the opportunity to meet the one-and-only Michelle Obama at College Signing Day at Temple University and take a photo together. 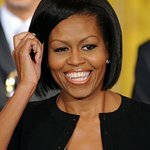 omaze.com is giving you the chance for you and a friend to join the former First Lady and forever role model Mrs. Obama at national College Signing Day at Temple University. You’ll meet Mrs. Obama, soak up all the inspiration you can and take a photo that’s bound to become a cherished family heirloom. You’ll also score VIP passes to the event itself, where you’ll mingle with celebrity guests and celebrate all the awesome students pursuing higher education. All you have to do to enter the draw is visit omaze.com and donate to the Reach Higher initiative. Started by Michelle Obama during her time at the White House, the Reach Higher initiative works to inspire and encourage young people to complete their education beyond high school—whether at a community college, technical school or four-year university. Their work continues today by supporting college aspirations and access for first-generation, low-income, students of color. Your generosity will help Reach Higher build a college-going culture for students everywhere, ensuring they have the necessary resources and support to turn their college dreams into a reality. To find out more and make a donation, click here.